Gambella Peoples’ Unity Democratic Movement appointed new chairman and deputy-chairman for the organization following the resignation of Gatluak Tut and his deputy. Ethiopian Peoples Revolutionary Democratic Front (EPRDF) disclosed in its social media page this afternoon that Gambella region’s President Gatluak Tut and his deputy Seany Akwor resigned from their positions. 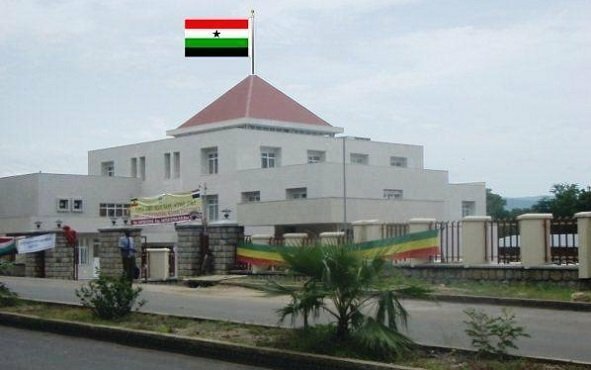 Their decision came after five days of evaluative meeting within the party, Gambella Peoples’ Unity Democratic Movement, GPUDM, EPRDF’s sister party in the region, as they call it. The party accepted the resignation letters of the region’s president (and chairman of the party) and his deputy so as to “resolve political problems in the region and align with the ongoing change in the country [Ethiopia.]. The party elected another chairman and vice-chairman the same day. Omud Ujulu is the new chairman and Anguaya Jacken is the new deputy-chairman, according to the report by EPRDF. A popular movement had been going on in Gambella region calling for “fundamental changes” as in the rest of Ethiopia – a movement which was resisted by the leadership that is leaving office. At least, six people were reportedly killed , several injured and several others arrested in September of this year. Reports of change in the region are greeted with enthusiasm among activists.